541. 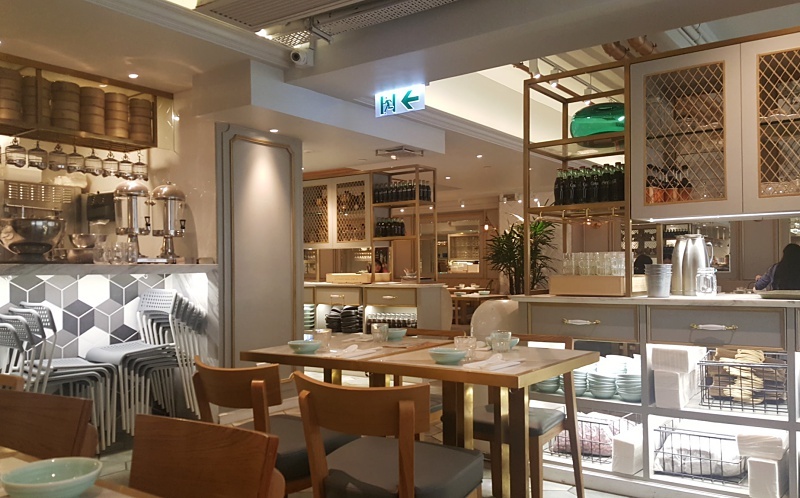 Hong Kong | Yum Cha | LEFTBANKED. 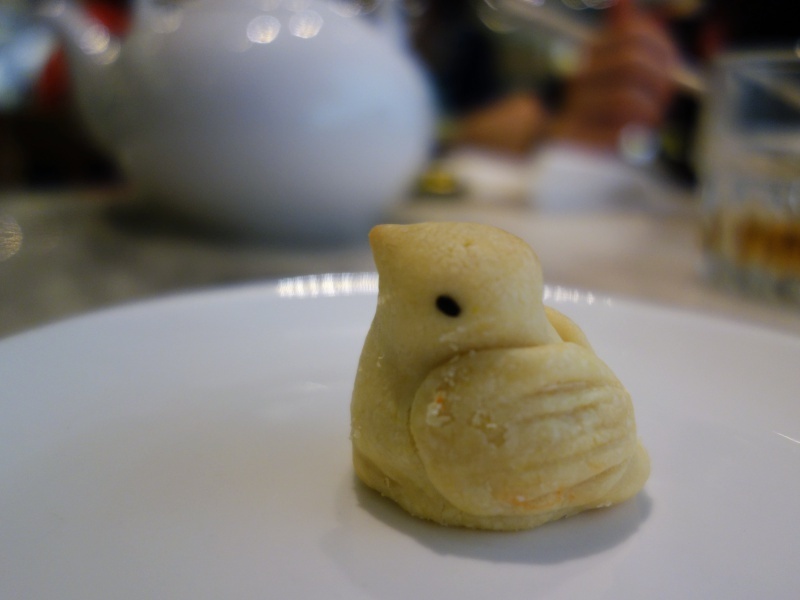 One of the most memorable meals from my Asia trip was having a dim sum lunch at Yum Cha with my mom and sister. I first discovered this restaurant several months ago on Instagram, and had been wanting to go ever since. 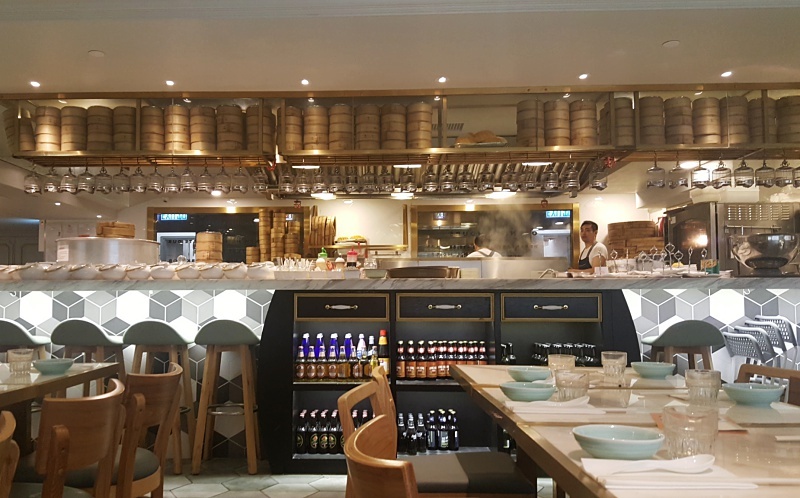 Yum Cha is not like a traditional dim sum restaurant. 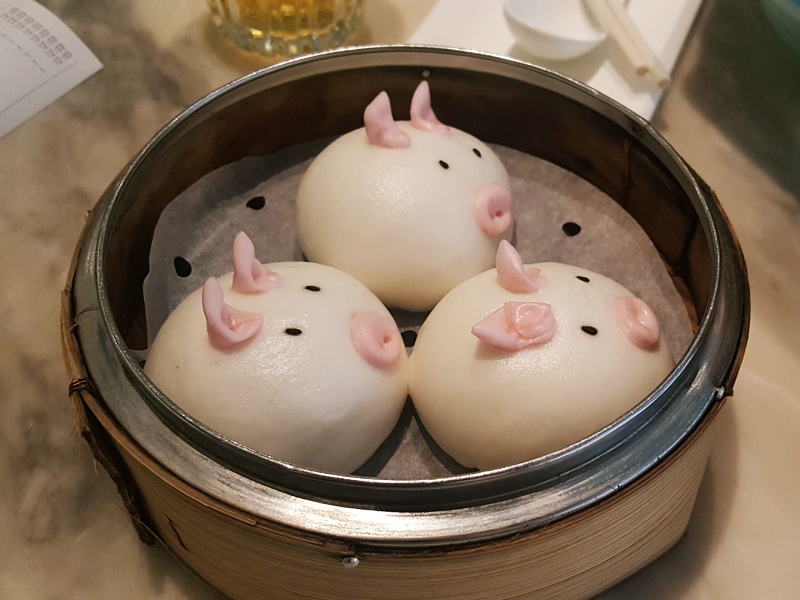 Their dim sum dishes are created with a playful and modern twist (buns being made with faces and some in the shape of animals), yet still maintaining authentic flavours. Before we went, I admit I was a bit sceptical on the taste, as I thought the focus would just be on aesthetics. However I can now say that even though everything is made to be very visually appealing, the taste was definitely not compromised as everything was delicious!! 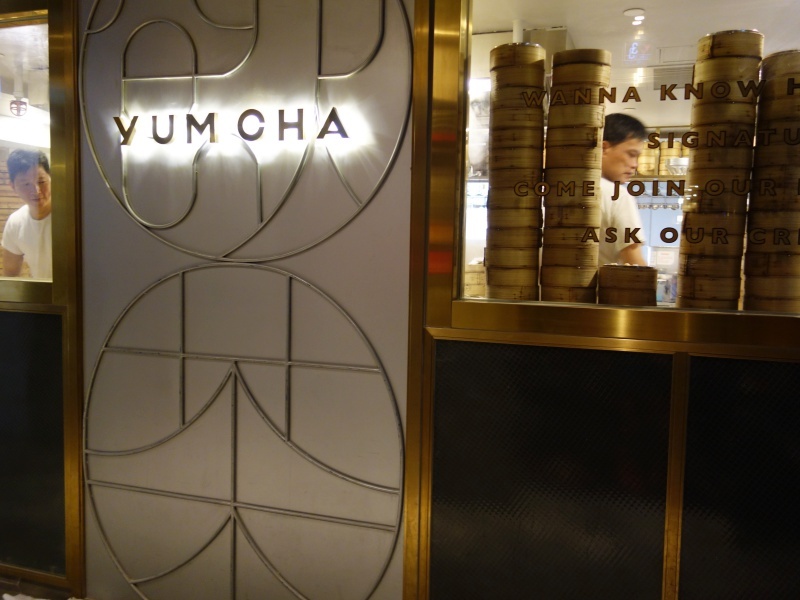 Yum Cha has two locations in Hong Kong at the moment; one in Central and one in Tsim Sha Tsui. We went to the Tsim Sha Tsui location on a weekday, around 12pm. The restaurant was fairly empty when we went, but it very quickly filled up within the hour. The crowd was a mix of corporate workers on their lunch break, young families and tourists. Even when it got very busy, the staff were still very quick and attentive. Everything we had was very tasty. It was hard to choose a favourite, but we all loved the crab roe puffs the most. This is a part of their seasonal menu (featuring many "hairy crab" dishes, which ends at the end of November 2016). 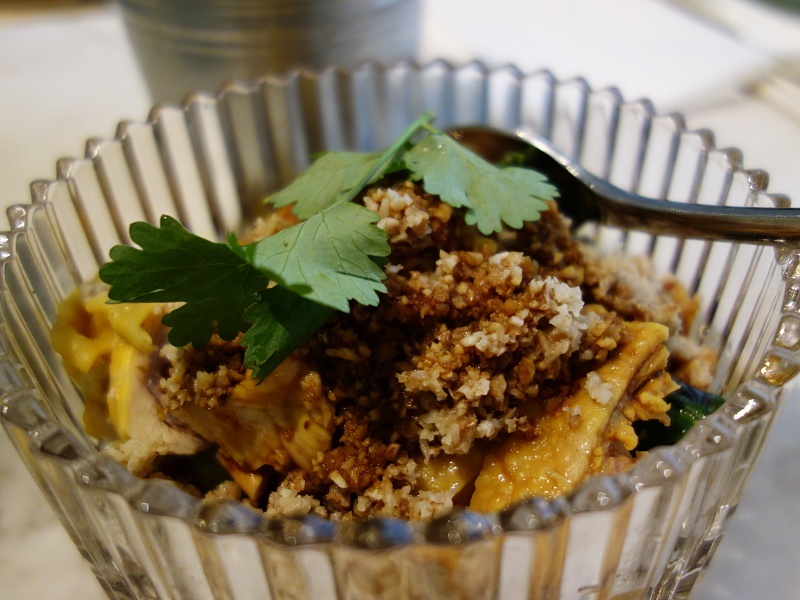 I also loved the pineapple puffs (the birds in the cage), beetroot fried rice and the pomegranate curly kale salad. 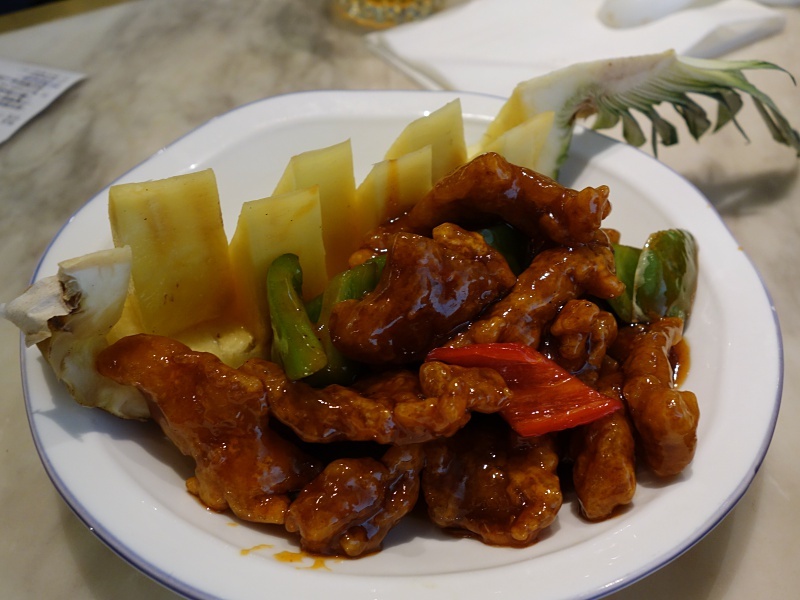 Every dish on the menu is created with fresh and quality ingredients with no MSG added. Between the three of us, we had 8 dishes in total. 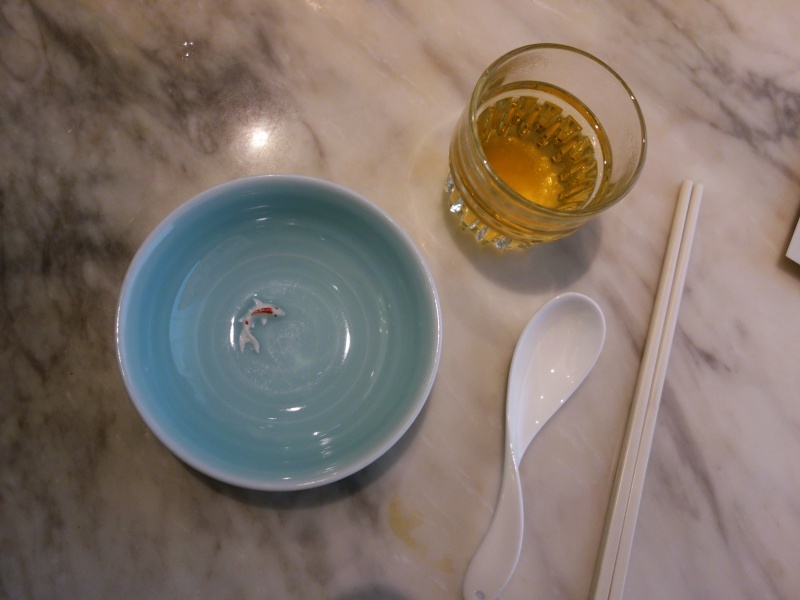 Everything sounded (and looked) so good though that I wanted to try everything on the menu! As each was brought out (even for the neighbouring tables), I was always excited to see the way it was presented. Everything was very unique and we couldn't stop snapping photos. The interiors were also beautifully furnished with a relaxing atmosphere. 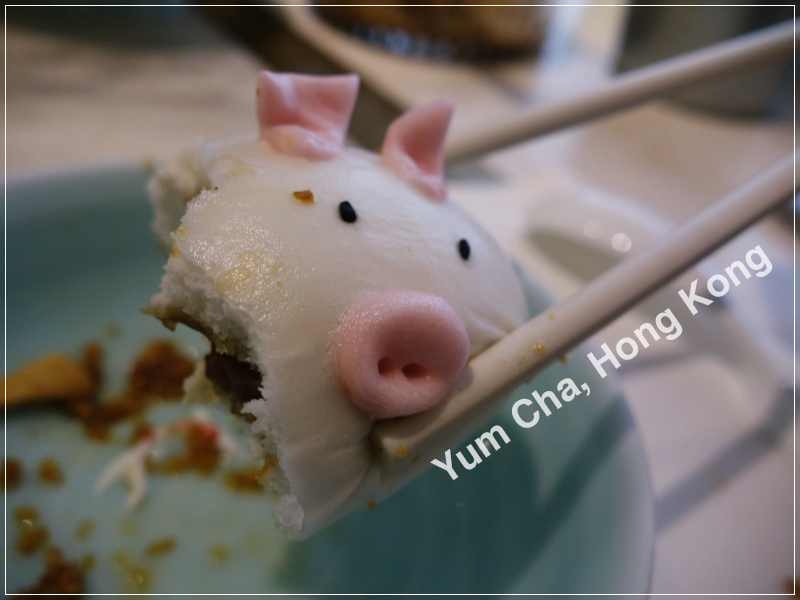 We all really loved it there and highly recommend it if you are in Hong Kong, or ever visiting there! I will definitely return next time I am in the city. 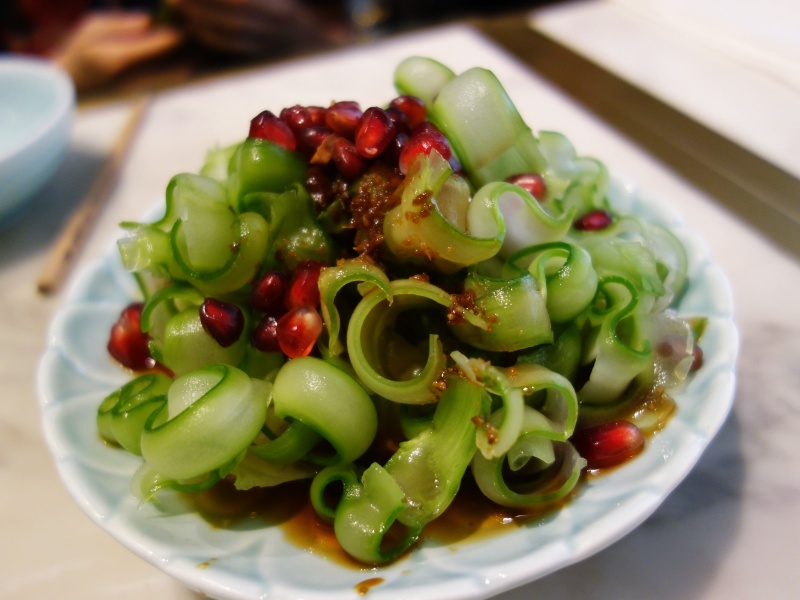 The appetizer we got was the Pomegranate and Curly Kale salad. I really like pomegranate so I wanted to try it. I was quite surprised at the kale. I think it is made from the stems of Chinese Kale. Very cool how they served it in this way. It tasted really good as well. This was the Scallion Ginger Chicken. Normally I hate the taste of ginger but this was actually delicious. The flavour was pretty unique, and the chicken was very tender and juicy. 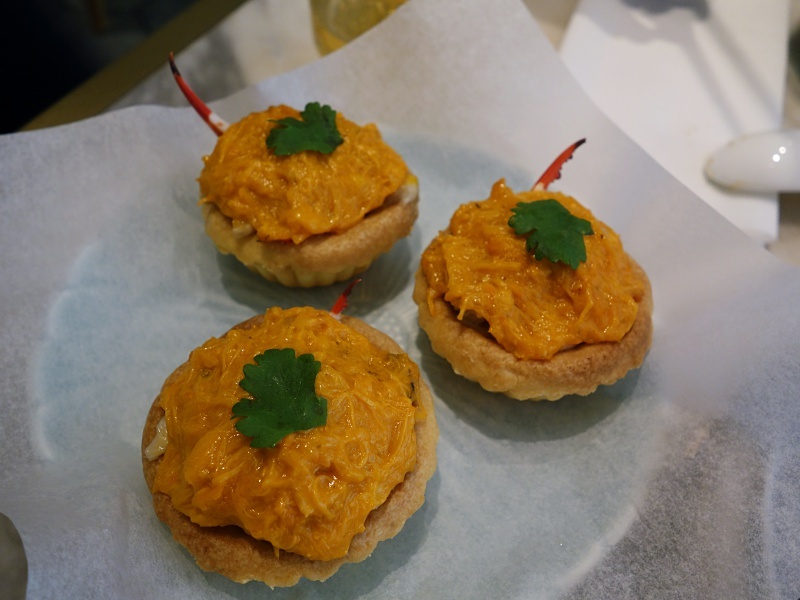 This was our favourite - the Baked Crab Roe Puffs! Very cute how there's a crab claw sticking out of each. 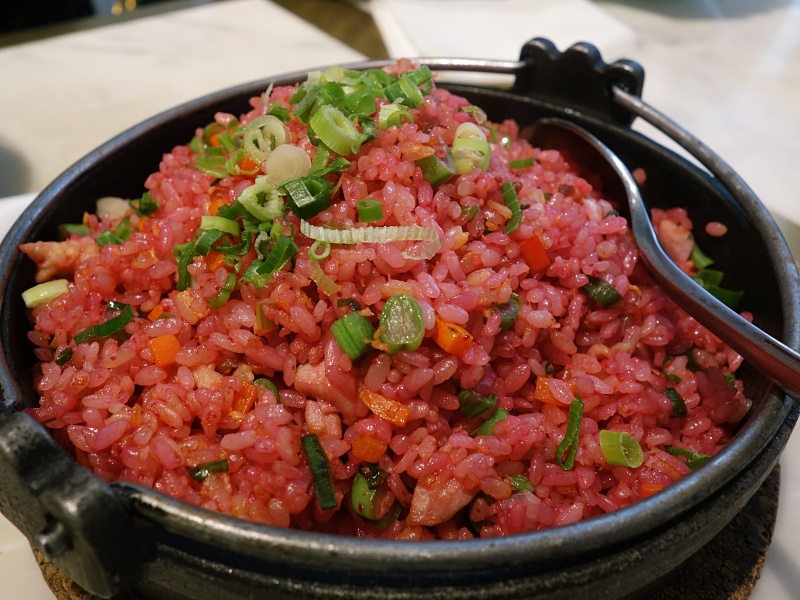 If you are in Hong Kong I recommend going in the upcoming weeks to try some items from their "Hairy Crab" menu, as it ends on November 30! This was always one of my favourite dishes at Chinese restaurants. I know I am saying this for everything lol..but I really loved this as well. The pineapple also tasted very sweet and fresh. BBQ Piggy Buns! I like how there wasn't a lot of pork filling inside so that it doesn't completely fill you up. There are windows looking into their kitchen area so you can always see what they're working on. 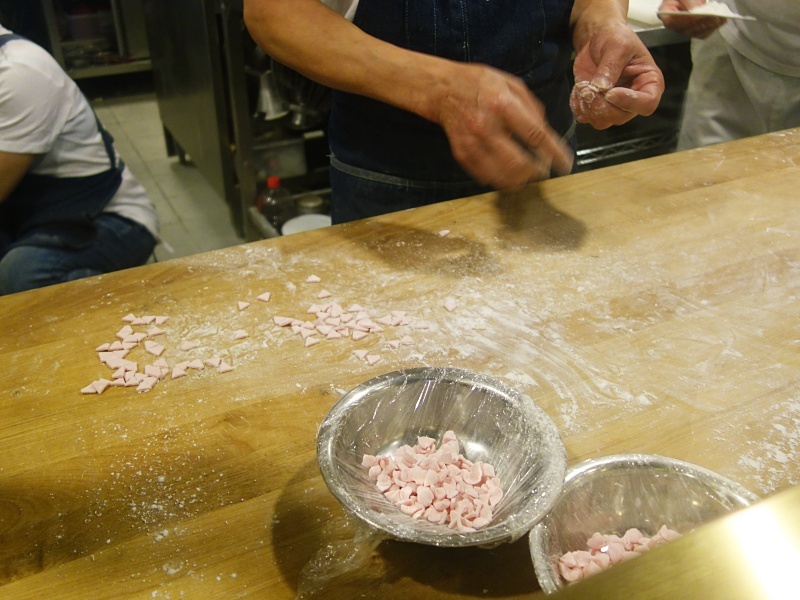 Here they were making the pig ears. Made me realize how much work is put into making each one. & lastly..desserts! 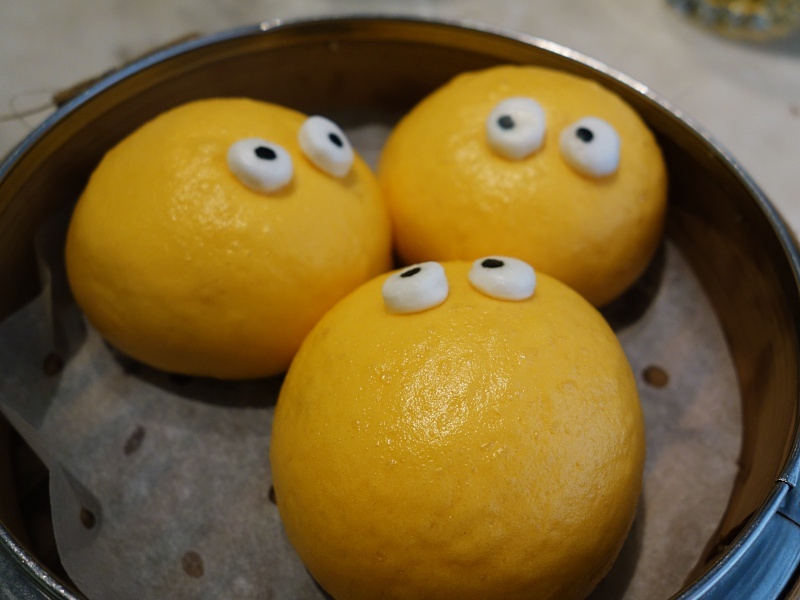 These are probably their most famous; the hot molten custard buns. I think almost everyone sitting around us ordered them. 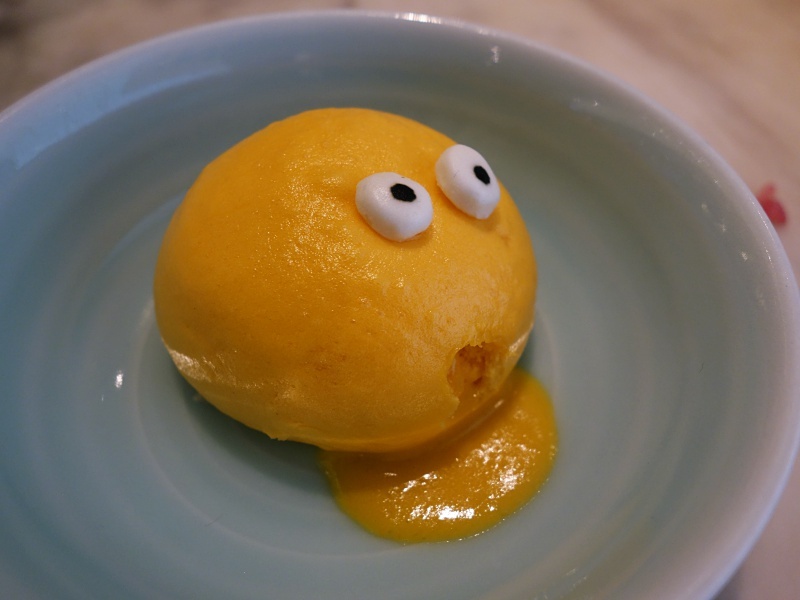 & before eating, everyone did the same thing - poke a hole to create a mouth, then squeeze out the insides. All while filming it lol. Here was my attempt: click here! 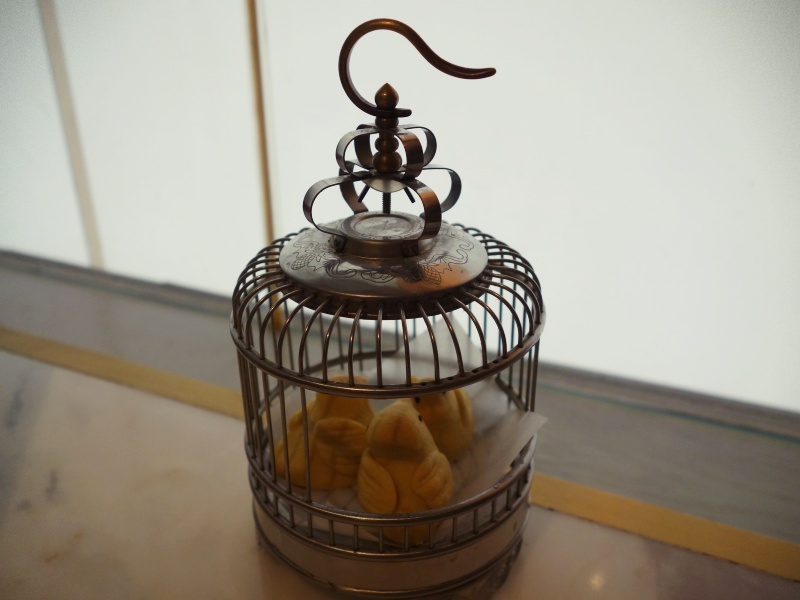 Then we had the Baked Pineapple Puffs, served in the shape of little birds in a birdcage. The outside was hard and crusty, and inside was a moist pineapple flavour filling. I never had anything like that before. It was so good. 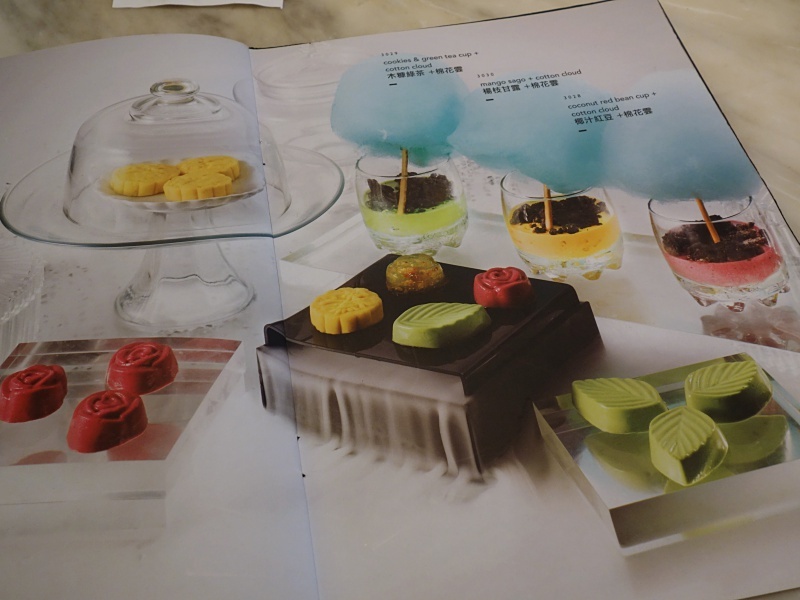 As I am a huge dessert lover, I wanted to try so many more desserts on the menu. Here is a photo from the menu. Next time I want to try the cotton candy thing. The table behind us ordered these and there was liquid nitrogen spilling out..so cool! 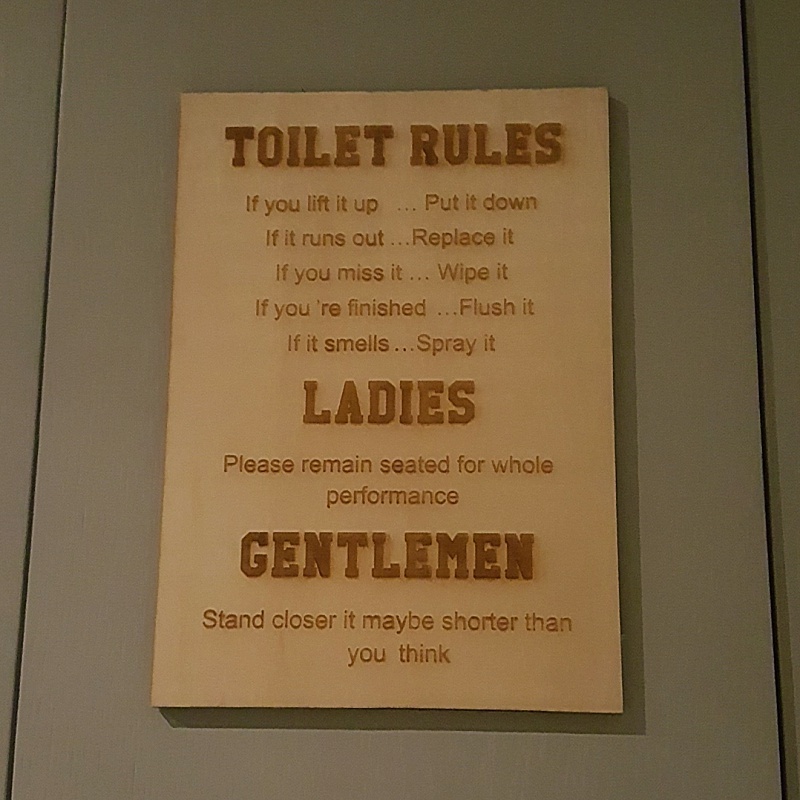 Lastly, a very funny sign in the washroom. I am definitely going there when I go back to HK! Love the presentation. And my dentist has the same funny sign. It always makes me laugh when I read it. OMG all that food looks so good!!!! And the pictures are such good quality!! It was all really good..thanks!! 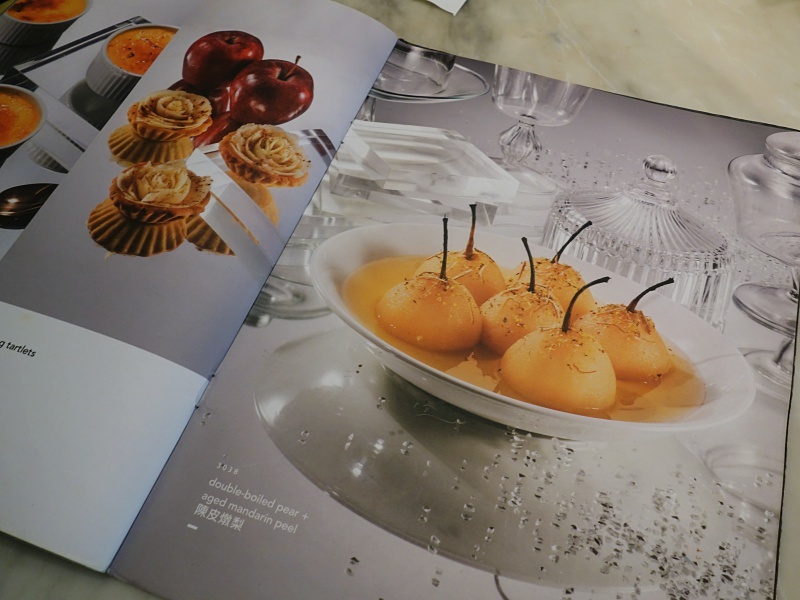 These dishes are so original; I have never seen any like them! Hope that one day I can eat there too. yea it was such a fun experience! 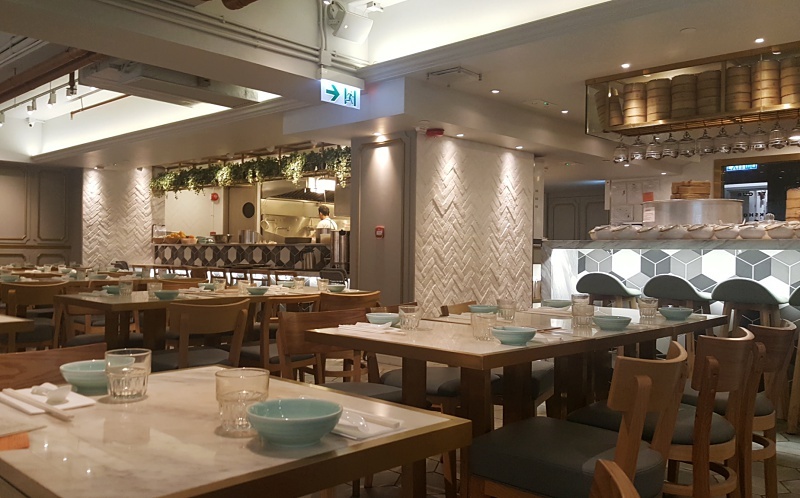 You should definitely visit next time you're in HK!